Mazda plans for a hopeful motorsport future, the Porsche Cayman will debut in November, and Carroll Shelby is still in the headlines. Last weekend was the always exciting 24 Hours of Le Mans endurance race. And while there were a number of dramatic moments, it was Audi that totally dominated the event, taking the top three spots (and they entered four cars). Unlike in past races, however, the 1st place Audi racer was a hybrid and not a diesel. Audi regularly dominates Le Mans, having won eight of the last nine races. However, according to some news this week, Audi will be having another past Le Mans winner return next year. Mazda Heading to 2013 Le Mans with SkyActiv Diesel: It&apos;s been more than 20 years since the Mazda 787B won Le Mans and now they want to reestablish themselves as a motorsport competitor. Mazda has just announced that they plan to return to Le Mans next year by providing engines to LMP2 teams. 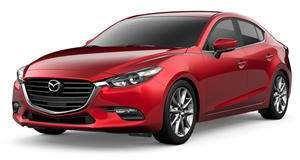 The engine is their new 2.2-liter SkyActiv diesel four-cylinder with dual-stage turbos and a stock block. The driver will be actor and racer Patrick Dempsey and his Dempsey Racing team. 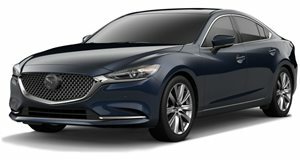 Mazda has had money problems lately, but it&apos;s great to see them getting back into the game. Buick Trademarks &apos;Electra&apos; Name: GM&apos;s Buick division is on a roll lately. They&apos;ve launched many new models that have become sales successes and it&apos;s clear the division is looking to expand. According to reports earlier this week, the &apos;Electra&apos; name has been filed in the U.S. Patent and Trademark&apos;s Office Public Database by the American automaker. In order for the filing to be accepted, GM needed to provide "a bona fide intent" to use the name in a future product. So let the speculation begin as to what they plan to do with a revived Electra. 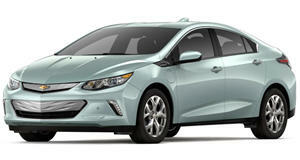 One possibility that&apos;s been mentioned is their own version of the Chevrolet Volt. 2013 Porsche Cayman to Debut at LA Auto Show: Porsche has announced that their next generation Cayman will be making its official premiere at the LA Auto Show this November. We&apos;ve seen plenty of spy shots of test mules in recent months, so its launch was only a matter of time. The Cayman is basically a Boxster coupe and it will share the roadster&apos;s new platform, which is now longer and wider. It&apos;ll also have the Boxster&apos;s engines: the entry-level 2.7-liter flat-six with 276hp and the 3.4-lite flat-six with 325hp. The new Cayman will be lighter and will have sleeker lines and a more 911-like profile. Subaru BRZ, Scion FR-S Are Selling Fast in the U.S.: The new Subaru BRZ and Scion FR-S are both sales hits, to say the least. 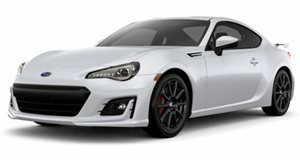 According to a new report from Edmunds, the BRZ takes only four days to sell while the FR-S is off the dealer lot in just five days. For comparison, it takes dealers an average of 53 days to move new cars. Both models are selling fast because of the buzz surrounding them as well as a very limited production supply. Only 6,000 BRZ&apos;s will be sold this year in the U.S. and just 10,000 FR-S coupes. In Japan interest for the BRZ was four times higher than the automaker anticipated. Carroll Shelby: Still a Man of Controversy: It&apos;s been more than a month (May 10, 2012) since Carroll Shelby passed away at the age of 89. However, it&apos;s been reported that there&apos;s a family dispute in regards to his burial. Prior to his death, Shelby filed for divorce from his current wife, Cleo, but she claims that she still has the right to his remains. His children, however, dispute this and have filed suit for their father&apos;s body. Back in 2008, Shelby empowered his eldest son to make all funeral plans and to have his cremated remains brought to their family plot in Leesburg, Texas. A Texas court will have to sort through this mess.